In my experience so far, the MJX Bugs 2 has been one of the top drones under $200, or even under 400$ that I know of. It’s definitely not perfect, but this drone has all the main features you’d really need in a drone. In comparison, you could pay $1000 for a DJI drone that has proximity sensors and a gimbal, but the price difference is colossal. How well does the Bugs 2 Fly? After releasing the amazing Bugs 3, MJX has surprised us again with another low budget brushless drone which I would recommend to my best friend as a first budget camera drone. I think it's very important to see what you're recording, so I recommend you buy the Bugs B2W. I would say this drone is a bit overpriced, as there are certain GPS drones like the JJPRO x5 EPIK that have even more features for a lower price. However, the range of this drone is quite incredible and the camera quality is 1080p so you definitely won’t be dissapointed. I would recommend you buy this for taking aerial photos and videos, even if you are a beginner. Just make sure to fly in safe areas! Check the price history bellow to see when it’s best to buy it! It can fly for quite some time. The official time is about 20 minutes, but I found out that I can usually go somewhere under 18 minutes, depending on how I fly. The range on it is very good for this price range. It’s advertised to be over 1km , but I never tested it more than 400m. The good thing about it is that if it loses signal it won’t fly away like most drones under $200, but thanks to the GPS it actually returns to home. Talking about GPS functionality, I have found that I constantly have over 12 satelites connected and it’s recommended to have at least over 7 for a secure connection. It hovers pretty stable most of the time in an area with a maximum range of 1 to 2 meters at most. But there are times now and then where it seems to just do really big circles around, I’m talking 10 or so meters in radius. That usually happens when at higher altitude, but it’s not really frequent. So, if you want to let it hover and do something else in the meantime, make sure you raise it in a wide open area where there are no cables, trees or buildings around at least 50 m radius. To cover all the most asked for aspects of a drone, in general, let’s also talk about the camera. It’s a 2 mp 1080p true full HD camera. I’m saying true full HD, because many chinese drone makers tend to get a 480p camera and upscale it to HD. MJX is a very trustworthy company in my experience and I was not payed to say this. The quality of the footage isn’t very satisfying, for me at least. However, we must judge it for the price you pay. And at 190 USD I don’t really know a drone that has all these functions and a camera this good. I would have prefered it to have no camera, but only an action camera mount so I can put whatever camera I want on it. I’ll try to talk with the company and maybe they will make this model in the near future. The controller is pretty basic and easy to use. It comes with a mount for your phone and an LCD screen that shows important information. Distance and curent height from the point you took off. Even though the drone comes back to the take off place if the battery is running too low. You can also check if you’re recording or taking pictures and how many satelites you have connected. It also shows telemetry data, like the altitude it’s at and the distance from you. This way you can fly safer and it’s also pretty satisfying to brag to your friends about how far you have been able to fly. The buttons I found myself using the most are the Camera button and the return to home. A thing that could be annoying is the fact that you have to calibrate the compass before every single flight. This takes usually about 10 seconds for me and you have to turn it 3 times at first and then hold it vertically and turn it 3 times again. I got used to this though and it’s actually a good thing to do because you make sure you won’t fly with a broken compass. Don’t forget to always have inserted an SD card when you want to record. It can use Cards up to 32 gb, but you won’t ever need that much storage space. The last point I want to make is very important, and it’s about the motors this drone has. Brushless motors are WAY more powerful and way more durable than the cheaper counterparts, the brushed motors. This makes it a drone that will last a whole lot of time. This being said, I’m pretty happy with how this drone turned out to be, it’s defintely not perfect, but compared to what’s on the market right now, for $190 it’s quite a steal. The bugs 3 might not be the best for you because of the small range, and that’s why the bugs 2 changes things in a pretty big way! This drone isn't DJI level, but I really like that for under $200 you can get a very stable GPS drone, with return to home, follow me and even the ability to move the camera while in the air. Newer versions like the Bugs 2 SE or the MJX bugs 5w have appeared, which might be more tempting for some people, considering the aditional functions and even the ability to move the camera! Will it work with lgk82018??? This should be a very awesome comment that impresses me. Help… i cannot connect to the mjx bugs wifi signal… what will i do? sweet flyer. 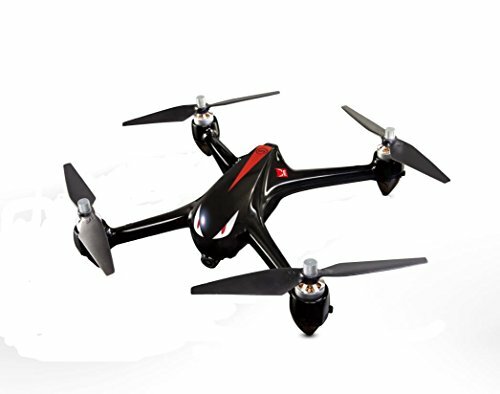 A bit expensive for what it does and the quality of the camera but then it has a really good GPS and flies like a charm really stable even on strong wind. The battery also is on the weak side- hardly 15 min on a windy day. Download and install the update for your cam and ‘still to do? Does it improve something regardless of the problem of connecting to a cell phone? I had problems to connect FPV beetween my Bugs 2 B2W and my smartphone Samsung A5 2017. So I found your website and the update for the camera module, which I installed. Since I installed the upgrade I cant connect to the camera not onyl FPV as well for the normal photo or video function through the remote controller. To reset it I tried for the reset the 8 seconds after beep, nothing happens. Seems that the function not working after the upgrade. Is there any possibilty to reset the camera modul to the staus befor the upgrade? HI.I had problems to connect FPV beetween my MJX B2W Bugs 2W and my smartfone Honor 7 lite. 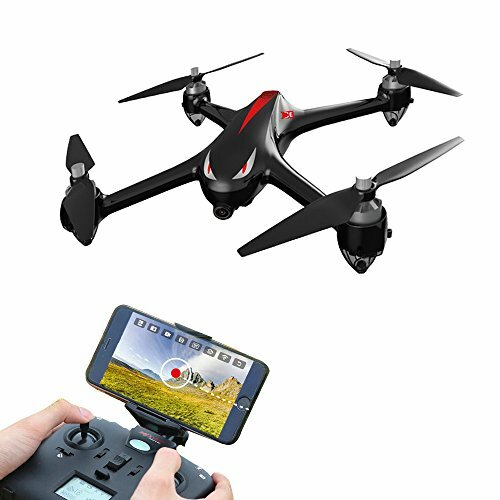 The normal photo and video function through the remote controller was Ok. After I installed the software , above on this site, I still can´t connect FPV and the smart phone. And now the normal photo and video through the remote controller don´t work eiher. Is there anything to do?? There comes NO icon of camera on the remote controllers screen. Thank YOU for possible answer. I can not connect to the wifi camera on the MJX Bugs B2W with my iphone 6 or my ipad pro. I installed the camera update but that didn’t work. Any other suggestions?